Tampa Bay Guides Mobile Notary Services L.L.C. -Excellent Customer Service with Veterans! I am Retired (20) years Air Force. 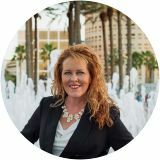 My name is Tami Kowalkowsky and I am a Notary Public and Certified Signing Agent with National Notary Association (NNA). Owner of Tampa Bay Guides L.L.C., a Mobile Notary Services Company, I proudly serve the larger Tampa Bay, St. Petersburg, Clearwater, Tarpon Springs, Wesley Chapel, Springhill, Brooksville, and surrounding areas. What I really love about my career is having a great sense of satisfaction that I am improving my clients’ lives by achieving their goals due to the exceptional work we have done together. As Retired Air Force Wife and volunteering, I thrive on providing you, very prompt, attentive and compassion with all of my client services. I can conduct at any mutual location to include your home, business, hospitals, shopping malls, restaurants and coffee shops. One of the most important parts of what I do is to ensure that the family, professional or business owner is respected with the utmost professionalism and integrity combined with accuracy and timeliness. General Notarization such a Wills, Affidavits, Power of Attorney’s, School Documents, Oaths or any legal document that requires a Notary Stamp. Certified Signing Agent Services are provided and available within reasonable notice of schedule. I am meticulously trained to conduct closings to meet each client’s specifications and requirements for all real estate loan signings. Loan packages are prepared with efficiency, accuracy and delivered timeliness. To ensure a seamless and convenient experience, I work very hard to accommodate your schedule with day or evening appointments, weekends and holidays. After hour services are available. Tampa Bay Guides L.L.C. is certified and background screened on an annual basis by the National Notary Association, as well as bonded and E&O insured. We are proud to support other locally owned businesses. Serving Pasco, Hernando, Hillsborough, Pinellas, Lake and manatee counties Based in Land O Lakes, Florida. Tampa Bay Guides L.L.C. are not attorneys and are not licensed to practice law in the State of Florida, and may not give legal advice.